Companies and individuals alike are aware of the environmental challenges faced by the planet and seek to reduce the greenhouse gas emissions related to their activities. Moreover, they are increasingly encouraged or compelled to do so by national regulations. Rexel offers products and services that meet energy efficiency needs, thereby helping end users reduce their consumption and emissions and supporting the necessary development of renewable energies. tailored services to help customers control their energy consumption: energy audits, cost efficiency and environmental benefit assessments, training and technical building management. Our sales of green products amounted to nearly one billion euros in 2014. Rexel thus contributes to reducing its customers’ carbon footprint worldwide. Town & City Management, a property management company located in West Yorkshire (United Kingdom), wanted to reduce the energy consumption and carbon footprint of the communal areas of King Cole Mills in Bingley. The former mill comprises 4 buildings converted into 122 individual apartments. The property management company called on Comtech Green Energy, a carbon footprint specialist, which selected Rexel Energy Solutions as supplier for the project. The LED-based lighting retrofit was carried out between February and August 2014. The project’s environmental impact amounts to 24,900 kWh savings in energy consumption, representing a 69% reduction, and 13,165 fewer kilograms of carbon emissions. Rexel shares with its suppliers and subcontractors its commitment to offer socially and environmentally responsible solutions and to guarantee that users’ health and safety are respected. The Group works in close collaboration with all its partners in order to ensure this commitment is fulfilled throughout the value chain. Rexel imposes quality and safety requirements on its suppliers’ products. Within this framework, and in partnership with its supplier EcoVadis, Rexel launched a platform in 2013 to assess its suppliers’ environmental and social practices based on 21 criteria. After a pilot campaign that involved about 50 suppliers, this assessment platform will be rolled out on a larger scale in 2015 and 2016. Several Rexel subsidiaries also conduct audits on their suppliers’ production sites. In Asia, a mutualized sourcing platform manages data related to local suppliers for its subsidiaries. 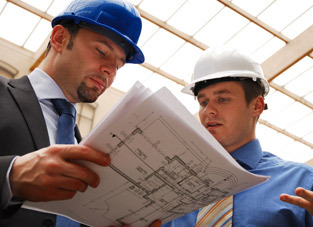 The supplier approval is conditioned by the assessment results. In 2014, 38 audits and 8 visits to supplier production sites were carried out by the team in charge. Rexel implements the necessary measures to ensure the regulatory compliance of the products it sells, particularly in relation to European regulations such as REACH (Registration, Evaluation and Authorization of Chemicals) and RoHS (Restriction of Hazardous Substances), concerning substances contained in the products. The installation of solar PV panels is a sustainable, cost effective and low-carbon solution. Nevertheless, it represents a substantial investment, accompanied by a certain number of technical and financial risks. To overcome these barriers, in 2014 Rexel launched a new commercial program, Energeasy Solar. It gives users access to a comprehensive range of practical and innovative services aimed at supporting the development of solar projects. Rexel Energeasy Solar is an online package of services designed to support homeowners wishing to install solar panels. Uncertainties about the quality and the effective performance of the equipment, financing options or maintenance often deter their decision. Energeasy Solar provides clear and innovative answers to all of these questions. By typing their address and the orientation, the slope and the surface of their roof into the simulator available on the website, end users can get an estimate of the energy produced by their installation. The potential electricity generation is evaluated in kWh, and translated into euros and CO2 emissions savings. In a click, the homeowner can send a quote request, which is transmitted to the closest three installer partners. Installer partners signed a commitment charter certifying their experience, and their capacity to meet the deadlines and the quality standards required for the installed equipment. Moreover, and this is a first for the solar energy market, Rexel offers customers a five-year production guarantee. If the effective production is lower than the estimate by more than 10%, the difference will be refunded. Energeasy Solar is currently available in Belgium, the Netherlands and the United Kingdom. Rexel has established partnerships with financial intermediaries and third party specialists in each of these countries in order to offer customers finance options and ongoing maintenance services. The Energeasy Solar service offer relies on solid partnerships aimed at driving a new dynamical in the solar energy market and proving our commitment to working alongside our installers. On the wind energy market, Rexel offers solutions ranging from equipment supply to an integrated service offer, and from procurement, to inventory management, to delivering products on the assembly line.